A quick...cool...fab looking D.I.Y for any room! We are on the edge of leaping into the renovating pit...well an awesome big extension I hope! And the house is being cleared of any *extra* stuff that apparently we can live without...hmmm!? Can I really live without *stuff*? This will be the making, or perhaps the undoing, of my Bower Bird ways. So far I'm loving the empty walls. You know empty walls reflect sooooooo much lovely light! Yeah so did I...but I've been choosing to ignore that! As the sitting room and kitchen are starting to be stripped bare- I'm sorting all the bedrooms so the kids can spend more time in there, doing things they may have done at the dining table or kitchen bench- seeing as we'll be a few months without either. We spent a very wet Sydney weekend re-aranging rooms, and completing quick little cool projects we'd been putting aside with the warm winter weather. A weekend inside was just what we needed to do all our pre-reno *jobs*, and the rain sorted that! Here's a D.I.Y that takes little time for lotsa punch! A graphic print like artwork- two seconds with a spray can and a quick break in the weather! 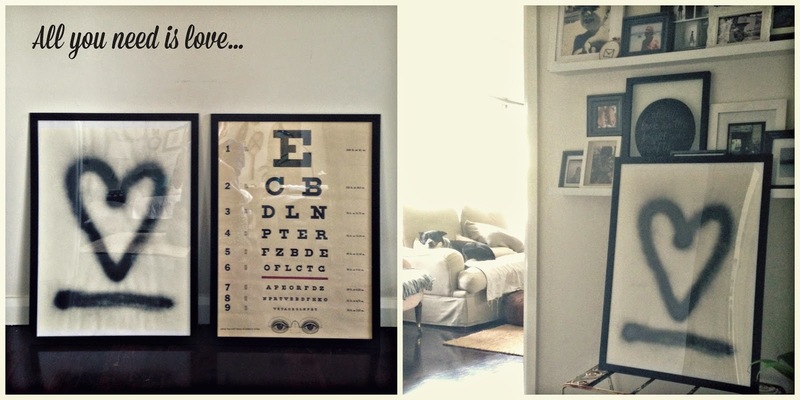 -Ikea frame - we used a poster sized frame from the NYTTJA range in black. -Spray paint in black- we used Rust-Oleum in Canyon Black as we had a stash in the shed. 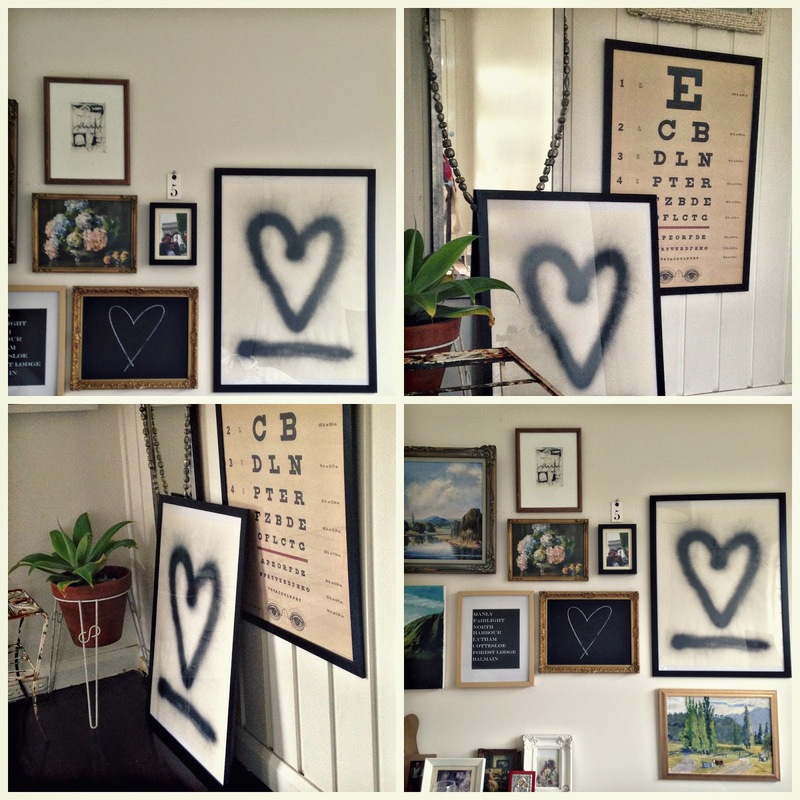 -Large sheet of paper- torn slightly smaller that the size of your chosen frame. We use sheets from the MALA roll of kids paper, again from IKEA. Simply unwrap the frame, and use the sheet of paper in the frame, to measure your *torn off sheet* of artwork paper from the MALA roll. 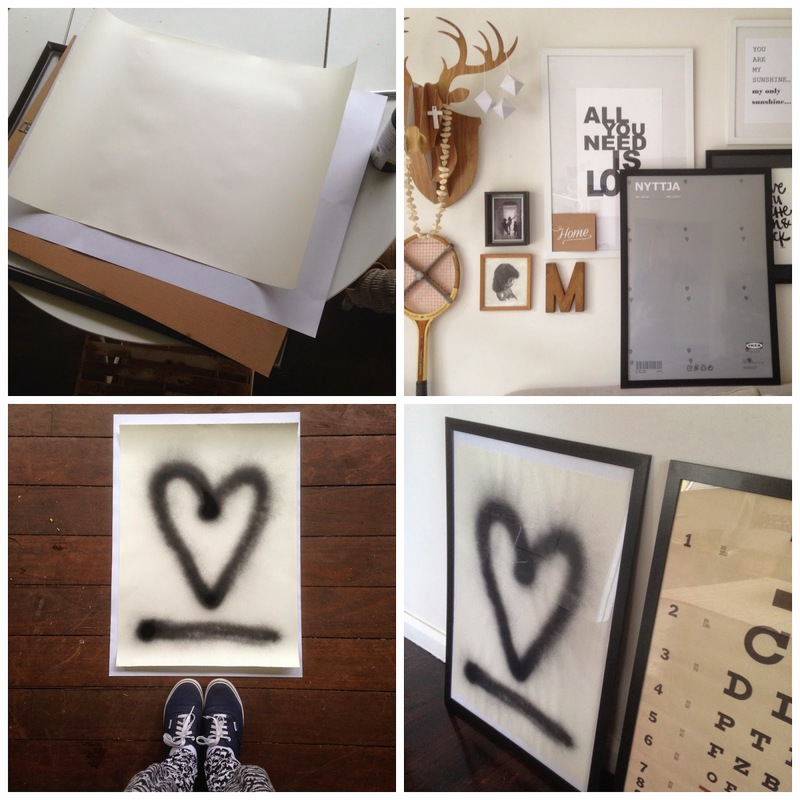 In an open area, spray a huge heart, or shape of your choice, onto the MALA paper and leave to dry. Attach the artwork to the white side of the paper that came in the NYTTJA frame. Put the frame back together. Bung a nail in the wall. And hang. Happy D.I.Y-ing on a shoestring budget with no time! as individual as you choose to make it! I have been blog Sites for a while now and today i felt like i should share my story because i was a victim too. I had endometriosis for 18 years and i never thought i would ever get a cure due to the terrible symptoms i had and this made it impossible for me to get pregnant even after 12 years of marriage and it was a serious issue. I got to know about Dr. Itua on Blog Site who treated someone and the person shared a story of how she got a cure and let her contact details, i contacted Dr. Itua and he actually confirmed it and i decided to give a try too and use his herbal medicine that was how my burden ended completely. My son will be 2 this december and i am gratetful to God and thankful to his medicine too.Dr Itua Can As Well Cure The Following Desease…Cancer,Hiv,Herpes, Hepatitis B,Liver Inflammatory,Diabetis,Fribroid,Get Your Ex Back, If you have (A just reach his on (drituaherbalcenter@gmail. com)He can also advise you on how to handle some marital's issues.He's a good man.